EXECUTIVE COACH/LEADERSHIP EXPERT -- Like you, leadership expert, CEO and executive coach Robert Thompson has seen the word leadership defined in many ways over the years. Is it about actions speaking louder than words? Is it about rhetoric or reason? Is it about impact or insight? Or is it something much broader and deeper than that? Drawing on three decades of sometimes challenging business and personal experiences across a number of industry sectors, such as medtech, telecoms, publishing and FM, in Europe, the USA and Australia, his view is quite simple. Robert believes that leadership is not just about job title or position whether in business, public or private life, but a clear choice each of us can make every day. Equally at home running startups, Robert built and sold a clinical decision support business to Private Equity. He has also licenced IP from universities and raised Venture Capital funding to market an automatic system that detects the onset of blindness in diabetics. An effective chair, coach and collaborative NED, Robert is passionate about merit-based recognition, equality and diversity. 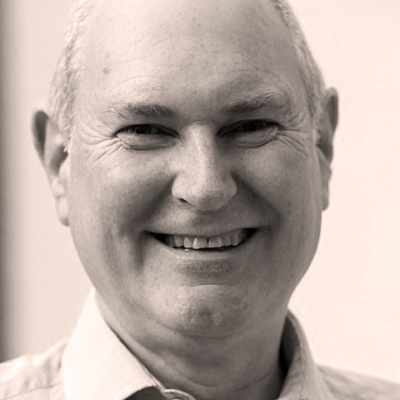 A skilled listener, acknowledged as an excellent facilitator and accredited mediator, Robert naturally moved into executive coaching working with CEOs and functional directors. He is also a founder mentor of the Regents University MBA candidate program. Advocating ongoing professional and personal development, Robert increased his leisure pursuits just a couple of years ago achieving a huge personal goal of learning to ski to enjoy the sport with his wife and young daughter, which just goes to prove that it’s never too late to learn a new skill or improve those that you already have. Executive Coaching, Leadership Development, Start-ups, Business Strategy, Business Development and Planning, Strategic Planning, Change Management, Governance, New Business Development, Management Consulting, Talent Management, Entrepreneurship, and New Business Development. Robert is a Certified Mediator through Regents University London (Accredited Mediator). Industry experience includes medtech, healthcare technologies, company startups, telecoms, and publishing. Robert is a Fellow of the Institute of Directors, a Fellow of the Institute of Leadership and Management, a member of the Association for Coaching and currently studying for an MSc in Psychology. Built and sold largest clinical decision support business in Europe. Licensed and developed the first automated diabetic retinopathy screening system to detect blindness in diabetics. Negotiated and closed two healthcare contracts worth £112m. Set and executed the terms of reference, including risk management parameters to restructure an organization generating £145m, amalgamating the 22 operating entities into one business.